Trends Research, Trends Analysis, Design Thinking, Service Design, Strategic Design, Prototyping, Project Management, Facilitation, Training, Mentoring, Scrum. Manuela is an independent Service Design consultant, co-founder of We Push and _Coworkshops and the director of our school. She and the designers Angie Mogollón and Cristina Muñoz are the team behind We Push, an international consultancy that uses emerging trends research to work on the future. Ulrich Schubert and the also teacher of our school Cornelia Brezing are the other two pieces of _Coworkshops, a training framework for group dynamics, co-creation and personal and professional development based on the principles of gamification and tailored for creation, ideation and collaborative work spaces. At the beginning of her career, she spent many years in the fashion/retail industry, working closely with international partners, especially from Asia. She had always had a penchant for trends and design, so she decided to make a career out of it researching and experimenting with Global Trends and becoming progressively specialised in Design Thinking, Service Design and Scrum working in very diverse teams always with a co-creative and prototyping mindset. She is also involved in other IED Barcelona schools. 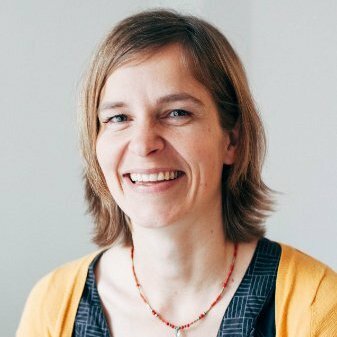 She teaches Service Design & Scrum at the Master in Interactive Apps Design, Design Thinking at the Undergraduate Degree in Graphic Design and along with Gary Van Broekhoven, one of the lecturers of our school, she coordinates the Service Design Summer Course. Outside IED Barcelona, she lectures at ELISAVA. Manuela holds a degree in Business Administration (Unipr, Parma) with an Erasmus Scholarship in Zaragoza that was the start of her long relationship with Spain; a Postgraduate in Fashion Event Organization (IED Barcelona); and a Master in Design and Research for Innovation (ELISAVA). 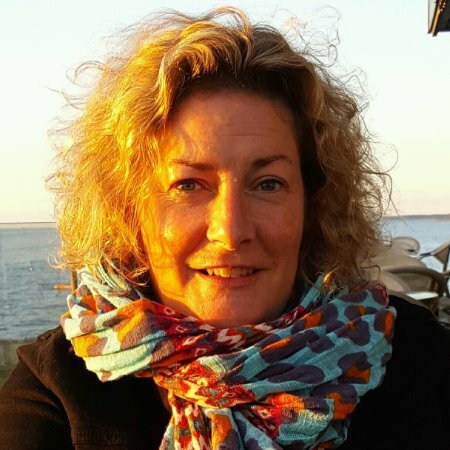 She is a certified ScrumMaster and participated in The Art & Craft of Designing and Facilitating Learning Spaces, the training programme for educators designed and given by Kaospilot (Aarhus, Denmark). Academic Coordinator, Industrial Engineer and Fashion Stylist. Academic Coordination, Industrial Engineering, Fashion Styling, Fashion Communication. The first half of Yerily’s professional and educational career took place within the world of industrial engineering and was placed in her hometown, Santo Domingo. 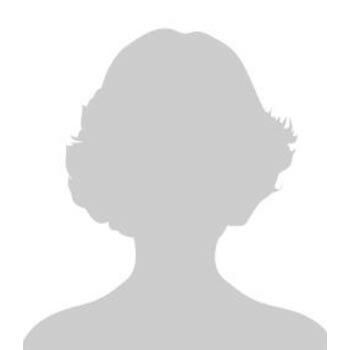 She worked as a Quality Assurance Analyst at Verizon and as Senior Voice and Data Provisioning Analyst at Claro. In 2009 she took the great step of moving to Barcelona to start a new stage in a field that had always interested her, Fashion as an individual and collective means of expression. Since then she has gathered experience as part of the Leather Department at Mango and as a Fashion Stylist working with Sofía Mariño. Nowadays she combines her activity at IED with her work as a Fashion Stylist for clients like Elite Model Look or Nike. Yerily holds a degree in Industrial Engineering and a Master in Strategic Management (PUCMM, Santo Domingo). She got a Master in Business and Distribution Management (UAB) and a Master in Fashion Marketing and Communication (IED Barcelona). She completed her education with specific studies in Fashion Styling (IED Barcelona) and Interiors Styling (IED Barcelona). Academic Coordinator and Catalan, English, Italian and Spanish speaker, teacher, proofreader and translator. Academic Coordination, Translation, Linguistics, Text Editing and Correction, Teaching of Foreign Languages. Meritxell’s life has always been linked to languages. She speaks, corrects and translates from Catalan, English, Italian and Spanish. She worked many years as a freelance translator and corrector of a wide range of specialised texts - academic, legal, scientifics-. Then, after a period as an early childhood teacher, she decided to joined her interests in languages and education and became a freelance teacher of foreign languages -Spanish, Catalan, Italian, Catalan and English-. Nowadays, whenever someone at IED Barcelona has doubts when writing a text, Meritxell is always the person to turn to. She holds a degree in Translation and Interpreting in Catalan, English and Italian (UAB, Barcelona), a Postgraduate in Legal Translation and a Postgraduate in Teaching Spanish as a Foreign Language. Fashion Product expert, founder of her own specialised consultancy firm. Fashion Product, Fashion Textiles, Marketing Communications. Anna’s professional career began in the textile design team of Niki Bosch. She has developed textile collections for Michele Solbiati SpA and Textile Dobert. In 2000 she joined the team of Antonio Miró as Product Manager and she started her teaching activity at IED Barcelona holding Fashion Product classes and coordinating both the Marketing y Comunicación de la Moda Diploma and Master Course. In 2005 she founded It’s about product, a consultancy firm specialised in Fashion Product. She also works as consultant for textile and clothing companies in Europe and Latin America while collaborating with different universities and institutions imparting master classes and seminars. She holds degrees in Business Sciences (UAB), Marketing DAF (ESADE), Fashion Design (IDEP), Fabric Design (Central Sant Martins School of Art), Relational Marketing (IESE) and Project Management (IESE). Marketing multi-entrepreneur with a consolidated but ever-changing experience now focused on fostering new talent. Advertising Strategy, Brand Management, Marketing Communications, Marketing Management. Of Spanish and Danish parents, she had lived in 8 countries by the age of 18. This mix made her curious, tolerant and capable of adapting to change, characteristics that marked her later career. After years of experience at Bassat Ogilvy Barcelona, she developed a niche in Cross-cultural Communication and Branding, freelancing with major agencies and clients. 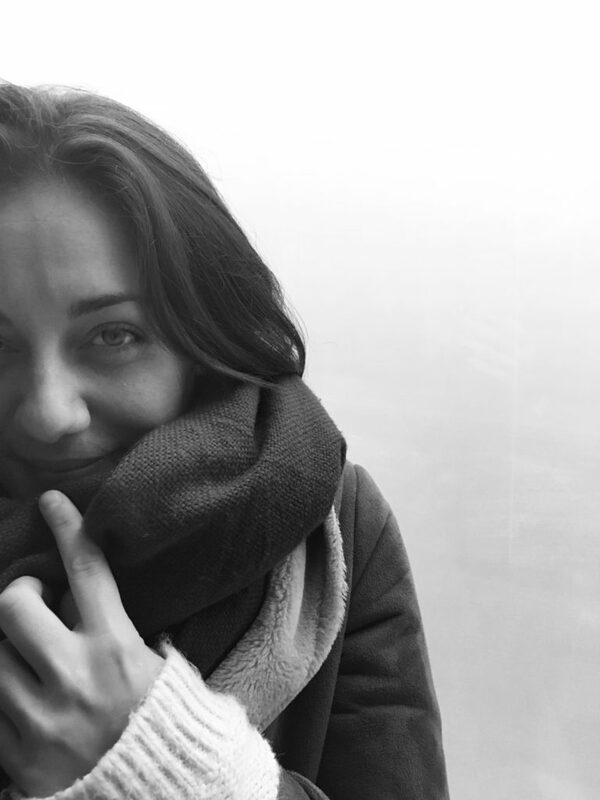 Passionate about digital communication and social media since its very early stages, Cristina took her background to the new scenario and founded MundoBcn, an agency specialised in the introduction of MicroBrands to the digital life. Along with her professional experience, Cristina’s great vocation for teaching gave rise to the creation of KeyIntern GradBrand which has helped hundreds of young people identify, shape and communicate their unique personal brand. Cristina has a Law Degree (Bristol University) and a Master in Marketing Management (ESADE, Barcelona). Fashion Advertising BA Fashion Mkt. & Comm. Advertising BA Fashion Mkt. & Comm. Sower of innovation and strong believer in the role of education. Strategy, innovation management, supply chain management, information technologies and project management. Enric’s professional career has been focused on helping companies from both the private and public sectors to become more innovative. 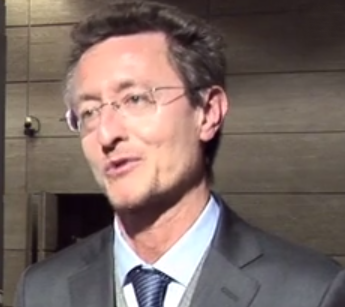 He is currently the Head of Innovation Management at ACCIÓ (the Competitiveness Agency of the Catalan Government). His main responsibility is to guide companies to turn innovation into a matter of routine. In other words, to make the process of turning opportunities into value (for the customer and the company) part of the DNA of Catalan companies. Besides business, he is very interested in the role that education plays in developing an entrepreneurial and innovative culture. That’s the reason why he joined IED Barcelona in 2010. Enric Bayó holds a Master in Business Administration (ESADE) and Industrial Engineering (UPC). Strategic Thinking BA Fashion Mkat. & Comm. Major Project Tutor BA Fashion Mkat. & Comm. Comparative Law, Intellectual Property, Industrial Property, Public Speaking, European Community Law, Fashion Law. 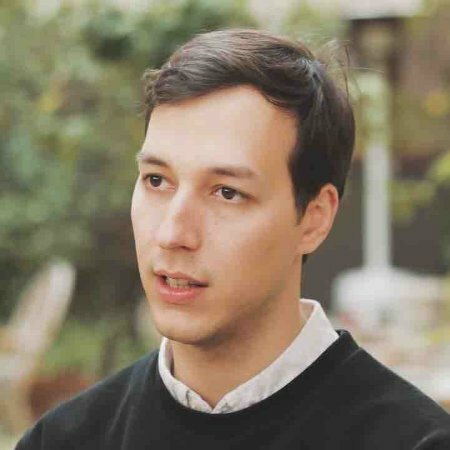 Edoardo is a lawyer (Barcelona's Bar) specialised in Intellectual and Industrial Property with a particular focus on Fashion Law and Public Speaking. 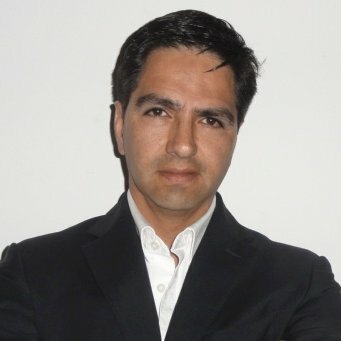 He currently works as a Consultant in European Union’s projects for developing countries (Moldova, Chile, Kazakhstan, Croatia, India) and as a lecturer in several universities such as OBS, ESADE, UCL London and IED Barcelona, where he holds classes and workshops in both Intellectual and Industrial Property and Public Speaking. He also regularly publishes academic articles on Fashion Law and Intellectual Property within the EU.  He is a member of the Italian Industrial Property Consultants' Bar, panelist at the WIPO Arbitration and Mediation Center of Geneva and an expert in domain names dispute resolution at the Chamber of Arbitration of Milan. Edoardo took her first degree in Law (UniMi, Milano), homologated in Spain, and then went on to study Comparative Law (Unistra, Strasbourg) and completed his studies with a third degree in European Community Law (UJF, Grenoble). Public Speaking BA Fashion Mkt. & Comm. Interior designer co-founder of his own studio and very committed to didactics. Interior Design, Graphic Design, Sketching, Visual Communication, Visual Thinking. David has his own studio based in Barcelona dedicated to graphic, industrial and, above all, interior design. He combines working for his studio with other collaborations and with his teaching activity. He is interested, both at personal and teaching levels, in all things related to creativity and strengthening the inner abilities of each individual, therefore, he has been a lecturer at IED Barcelona since 2006, is also an art teacher at St. Peter’s School Barcelona and the co-author, along with Javier Jiménez Catalán, of the book Dibujo a mano alzada para diseñadores de interiores (Freehand drawing for interior designers) published by Editorial Paramón. David holds a degree in Interior Design (Pau Gargallo, Badalona). Communication, Media & Semiotics lover and entrepreneur. Super active lecturer and writer. Semiotics, Cultural Analysis, Communication, Transmedia Narratives, Creative Writing, Social Networks. Gabriela founded her own consultancy firm in 2007, through which she offers end-to-end communication solutions. 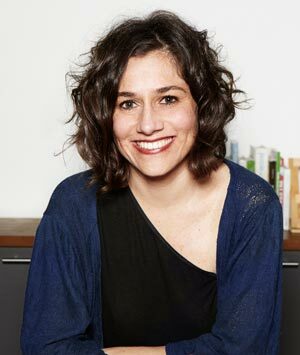 In 2009, along with the semiotician Ximena Tobi, she launched Semiotica Studio, which applies semiotics and cultural analysis to social, trends and market research. 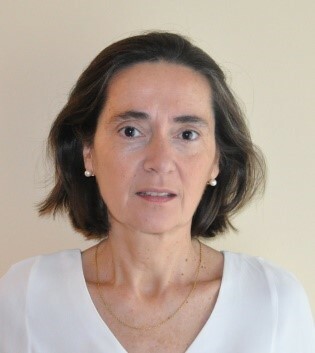 She contributes to a variety of cultural publications and is the author of Comunicación y Cultura, Introducción a la Comunicación and Comunicación, Cultura y Sociedad. 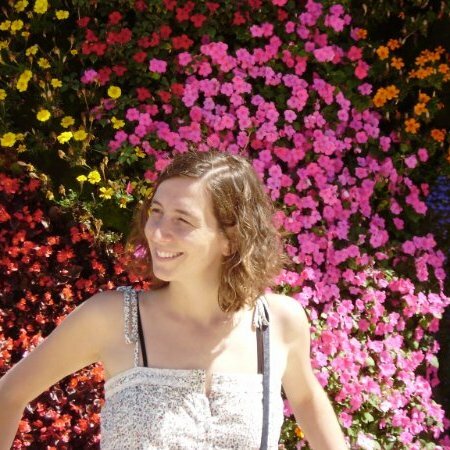 She was the general coordinator of Semiofest 2013 Barcelona, where she still collaborates. 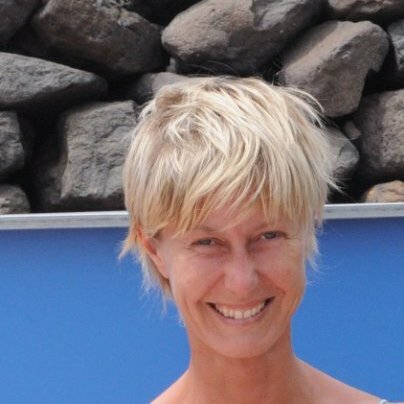 She has been teaching at IED Barcelona from the first years of the school, and, since 2016, she is also a lecturer at UPF. Gabriela earned a BA in Communications (UBA, Buenos Aires) and a MA in Contemporary Film and Audiovisual Studies (UPF, Barcelona), later she went on to do postgraduate studies in Literary Criticism in the Print Media (IDEC/UPF) and studied Translation and Interpreting (IH Barcelona). In 2013, she attended the CSP in Design for Innovation Strategy at IED Barcelona. Semiotics BA Fashion Mkt. & Comm. Fashion Journalism BA Fashion Mkt. & Comm. Web designer-developer with an artistic and graphic background always striving to respond to specific user needs. Market Research expert with a broad view of the possibilities of Marketing and Communication. Market Analysis, Brand Management, Quantitative Research, Consumer Insight, Consumer Behaviour, Marketing Communications. Elaine is the Account Director at Millward Brown, where she leads a team working for clients such as Kraft, Puig Group, AXA and Granini. 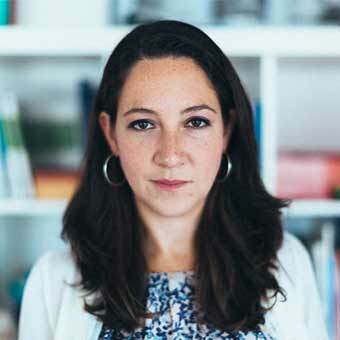 She has extensive expertise both in the market research side due to her years in Ipsos Eco Consulting as Qualitative Research Manager, and in the marketing side, thanks to her position as Brand Manager of Innovation and Product Manager at Danone, where she was responsible for launching the brand Font Vella Sensación. Elaine has also worked and experiment with different ways of communication as advisor for the Sathi Sansar NGO and co-founder of a theatre company with which she wrote a play that was premiered in Barcelona. 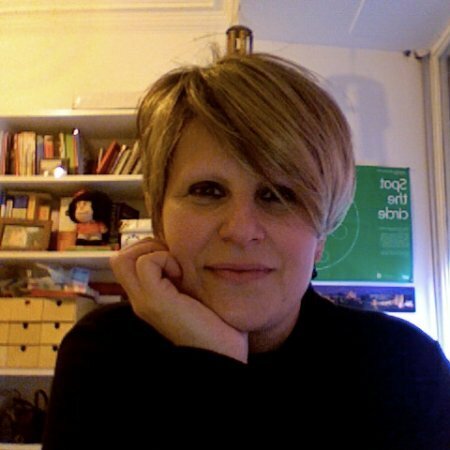 She has a large experience as a lecturer too, both in undergraduate and master's courses at IED Barcelona, EADA and TBS. Elaine studied Advertising and Public Relations (UAB, Barcelona). Market Research BA Fashion Mkt. & Comm. You’ll find him -and his showroom- there where fashion meets business. Luxury goods, Business Strategy, Fashion Industry, Retail Marketing. Abel is the owner of StudioSmith Showroom, where he focuses on the distribution and promotion of selective perfumery for the Spanish, Portuguese and Andorran markets. StudioSmith also performs marketing and RRPP consultancy activities for international accounts from the field of fashion and beauty such as Pitti Immagine. His career in fashion started in 1993 inside the Ermenegildo Zegna company. Since then, his career has always been linked to the intersection between fashion and business, first inside as a sales manager at Antonio Miró and then as mastermind of Fresh From the Lab, devoted to the design and sales of art t-shirts. Abel Diaz has an MBA Master in Economy and Business Management (IESE, Navarra), which he received after finishing his studies in Business Management with a specialization in Marketing (ITESM, Monterrey). Fashion System BA Fashion Mkt. & Comm. Distribution System BA Fashion Mkt. & Comm. Business Plan BA Fashion Mkt. & Comm. Has lived his entire career in the world of fashion, starting as Product Manager and then running his own store committed to young local design. Product Management, Project Management, Textile materials and processes, Graphic Design. Michele, along with the also lecturer of our school Elena Castaudi, is the co-owner of Onland, a store with a long history promoting Barcelona’s young scene that has become a reference point for independent catalan design. In Onland a handpicked selection of fresh new proposals shares space with Gorni Kramer, the brand designed and produced by themselves. 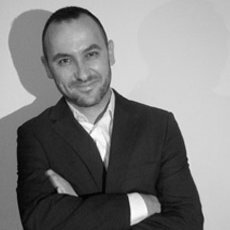 Michele has a long experience in the fashion sector as Project and Product Manager in brands like Ermenegildo Zegna Group and Antonio Miró, where he was responsible for the coordination of the menswear collection, the fabric selection and the relationship between the designers and the production factories. Michele holds degrees in Business Administration and International Relations (ITC, Rivoli and ISDO, Torino), Graphic & Advertising Design (IAAD, Torino). Textile Culture BA Fashion Mkt. & Comm. Fashion Product BA Fashion Mkt. & Comm. Fashion Design, Materials Technology, Fashion Textiles, Production Management. Elena, along with the also lecturer of our school Michele Gilli, is the co-owner of Onland, a store with a long history promoting Barcelona’s young scene that has become a reference point for independent catalan design. In Elena and Michele’s Onland a handpicked selection of fresh new proposals shares space with the brands designed and produced by themselves -Gorni Kramer-. 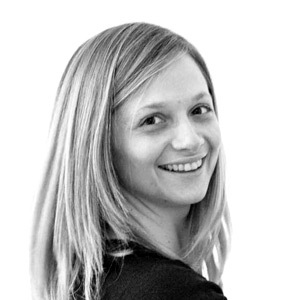 Elena is also a freelance costume designer for tv and theatre and has experience as a textile suppliers representative. She lectures at IED Barcelona since 2009 and regularly gives interdisciplinary workshops at ELISAVA. She holds a degree in Theoretical Physics (Universitá di Torino). Fashion ecodesigner working towards an ethical fashion industry with her own brand, education, activism and written media as tools. Fashion Design, Sustainable design, Sustainable Business, Slow Fashion, Brand Creation, Marketing Ethics. Clara’s educational and professional background combines both fashion and environmental awareness. She started her fashion design career in brands like On-land, Cortefiel, Josep Abril or FOX Fiber. She founded MOËTHIKA, a km0 ethical brand based in the concept of lifelong collections and circular economy, in 2014 . Besides her own brand, she also designs for Mimetik and teaches at IED Barcelona and other fashion schools. Clara still finds time to collaborate with several non-profit fashion organizations, be a member of MSBCN and write about ethical fashion and labour rights for a variety of written media. She holds two degrees in Environmental Sciences (UB, Barcelona) and Fashion Design ( IED Barcelona) and two Postgraduates in Geographic Information Science and Cartography (UPC, Barcelona) and Project Management for Creative Industries (IED Barcelona). Marketing Ethics BA Fashion Mkt. & Comm. Avid social entrepreneur addressing social challenges through local impact organizations. Entrepreneurship, Social innovation, Project management, Dragon Dreaming, Business strategy, Humanitarianism, Start-up, Coaching, Design Thinking, Service Design. Born in Costa Rica, brought up in Salvador, Elena has lived in more than 15 cities all around the world, which has made her understood different lifestyles and be in contact with very diverse challenges. She is the co-founder and CEO of Authenticitys, Anoderwold, Bloom Microventures and has been part of the team behind Impact Hub Barcelona. She has worked as a facilitator and mentor for more than 150 organisations and entrepreneurs and a trainer of trainers in the Dragon Dreaming methodology. She teaches in ESADE, UPF and IED Barcelona, among others, and, as a researcher, have co-authored numerous studies on social entrepreneurship and Innovation. Elena studied International Business and Finance (Grove City College, Pennsylvania) and have Masters in Business Administration (SDA BOCCONI, Milano), Development Management (LSE, London) and TeamCoaching (Mondragon Team Academy, Spain). She is a Project Management Professional certified by the Project Management Institute and a Dragon Dreaming practitioner. Pop culture and trends expert, change agent, founder of Tvrbo, musician and videogamer. Trends Research, Pop Culture, Content Marketing, Digital Strategy, Marketing Online, Social Media Planning. 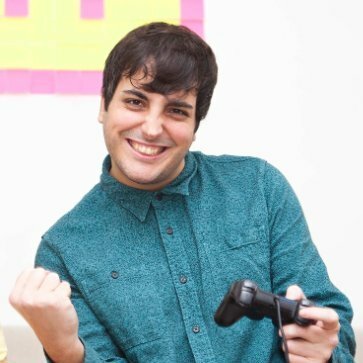 Aleix is a marketing and trends consultant specialized in pop culture and new technologies. He has a large experience in content marketing and brand repositioning projects using audience segmentation, interactive marketing and qualitative market research techniques. 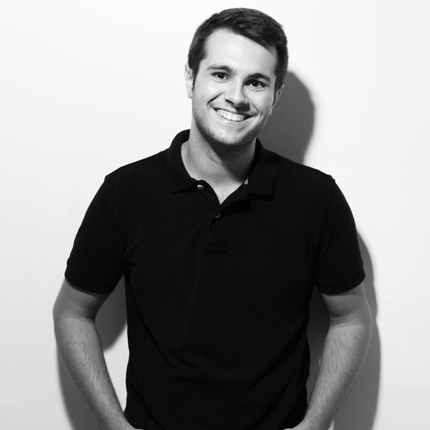 He co-founded Tvrbo, an agency dedicated to web and interactive apps design, in 2011. 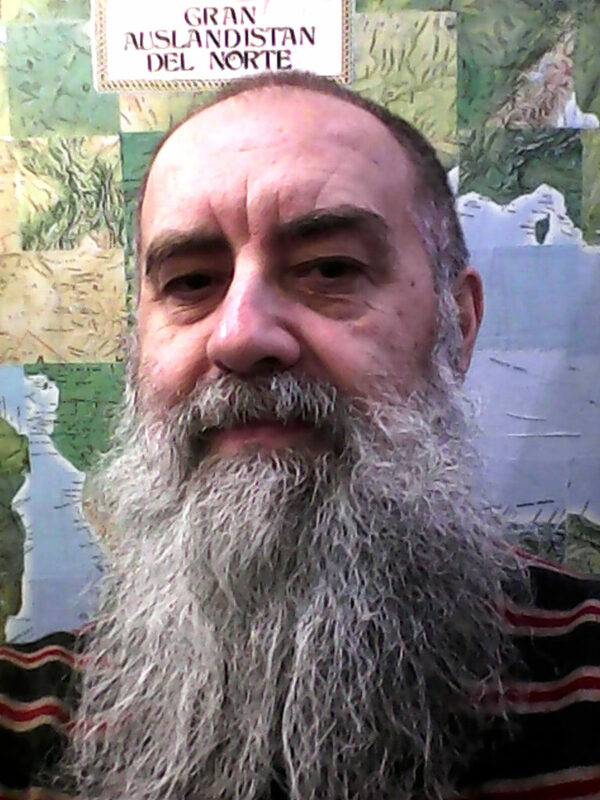 Throughout his career, he has worked in trends forecasting agencies such as The Hunter or La Entropía and has also experience as a writer and editor in platforms like LeCool or Scanner FM. He teaches in several universities such as IED Barcelona, IDEP, LCI and Ramon Llull. 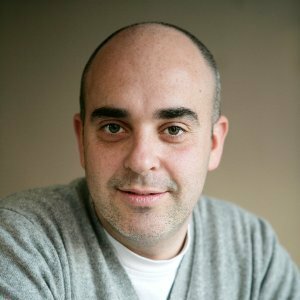 Aleix holds a degree in Communication Sciences (URL, Barcelona), and postgraduate studies in Marketing Management (UOC, Catalunya) and in Qualitative Trends Research, Coolhunting (URL, Barcelona). Contemporary Fashion BA Fashion Mkt. & Comm. Macro Trends BA Fashion Mkt. & Comm. His design journey ranges from creating toys to founding a firm to humanise digital health. Behaviour Design, Service Design, Consumer Psychology, User Experience, Design Thinking. Gary is an award winning innovator, health entrepreneur and coach with over 18 years of experience in which he has built and sold several companies. He works with the combination of Design, Psychology, Innovation and Technology. In 2013 he founded Health Mavericks, a multidisciplinary consultancy that works directly with doctors, patients, pharma and other stakeholders applying Service & Behaviour Design strategies to humanise digital health. As an innovation coach, Gary helps Startups, NGO’s and Corporations understand users’ latent needs and co-create innovative solutions. During his career Gary has worked for companies like NASA, IDEO, Vodafone, Virgin, Roca or IMC, where as Head of Design he created over 150 toys. He also coordinates, along with Manuela Procopio, the Service Design Summer Course and has lectured in other universities such as LaSalle Barcelona, ELISAVA or Parsons School of Design. He holds a degree in Product design & Development (University of Salford, Manchester) and a Master in Marketing Strategy (ESADE, Barcelona). Lives Communication in all its forms, as a sociologist, philologist, lecturer and short-story writer. Oral Communication, Written Communication, Languages, Philology, Sociology. Alfred’s life has always been linked to communication from very different points of view. 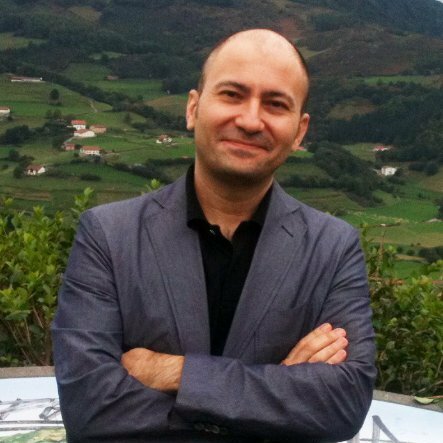 He has worked as a translator, editor, consultant and cultural manager, among others. Inside the university world, he works as a Sociology consultant at UOC and lectures or has lectured Oral Communication, Written Communication, Intercultural Communication and Negotiation at UB and Sociology at IED Barcelona. Besides his academic publications, he also writes fiction short stories. In 2012 Alfred won the Helena Jubany award for his short story L’alemany és fàcil (German is easy) and the 7lletres award in 2014 for his short story Sensibilitat (Sensitivity). In 2015 he published a storybook, Enmig de la melé (In the middle of the Mêlee). Alfred Quintana holds degrees in Catalan Philology and Sociology and the Certificate of Research Proficiency in Sociology. Sociology BA Fashion Mkt. & Comm. Young but fast: Under 30 graphic designer with 1 Design Cabinet, 3 Laus Awards, 1 magazine and 1 independent publishing house. Graphic Design, Art Direction, Editorial Design, Web Design, Visual Identity. Albert founded his own design studio, Albert Romagosa Design Cabinet (ARDC), in 2014. Since then, the cabinet has developed printed and digital projects such as the art direction of HUNCH -with whom they designed the waterproof book What if it Snows- or the visual identity of ISVI, has won 3 Laus Awards and has been published in magazines like It's Nice That, i-D Spain, This is paper or Étapes. He is the co-founder of the biannual magazine Andròmina, one of the three founders of the independent publishing house Entiendo and a member of the Presidential Board of ADG-FAD (Association of Art Directors & Graphic Designers). Albert also spends time sharing all this with his students at IED Barcelona, at our school and at the Visual Communication School, and at ELISAVA. Albert took a degree in Graphic Design (ELISAVA, Barcelona) and is specialized in art direction, brand identity, web design, editorial projects and everything related to visual communication. Trainer making people feel empowered to speak in front of others, co-organizer of TEDx events, founder of a culture magazine. Oratory, presentations, TED, innovative models of speech and nonverbal communication, disruptive education, design management. Iñaki is a personal public speaking trainer and stage fright coach, co-organizes and trains speakers at TEDx BarcelonaWomen and TEDxBarcelonaEd, gives in- and out-company workshops, is master of ceremonies in different corporate and NGO events and, of course, he is one of our lecturers. Iñaki’s relationship with public speaking takes many forms. But, how did this love story begin? He was afraid of speaking until age 12, when a course at school change that completely and made him spend his teen years exploring this new vocation. Then he took a long break devoted to Customer Service in different countries in which he kept learning about communication between people, but after attending a workshop, he got back for good and started working towards turning people’s fear of speaking into confidence. 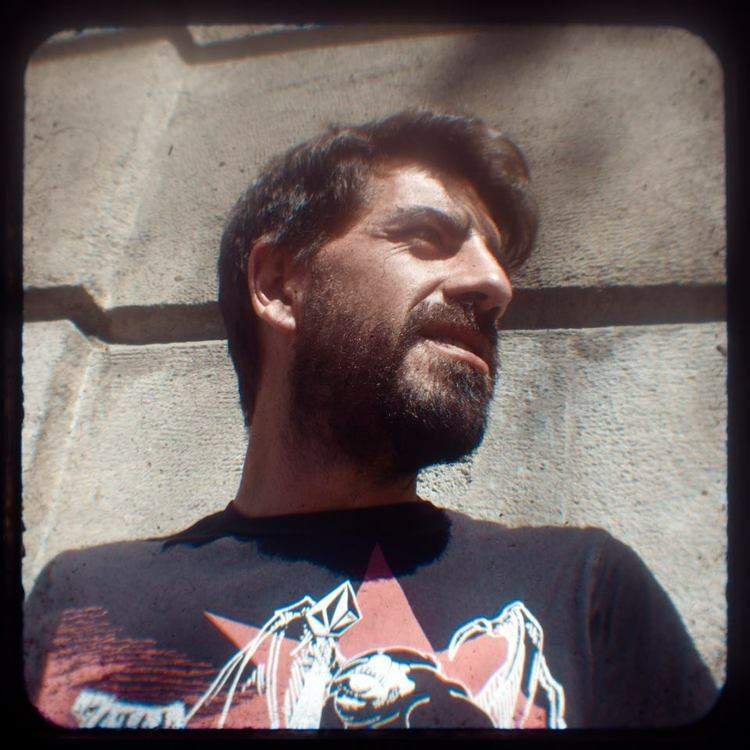 Passionate about innovation, creativity and art, in 2012 Iñaki founded Bizarre, a music & art magazine where he is also responsible for edition, PR and creating links with emerging artists. 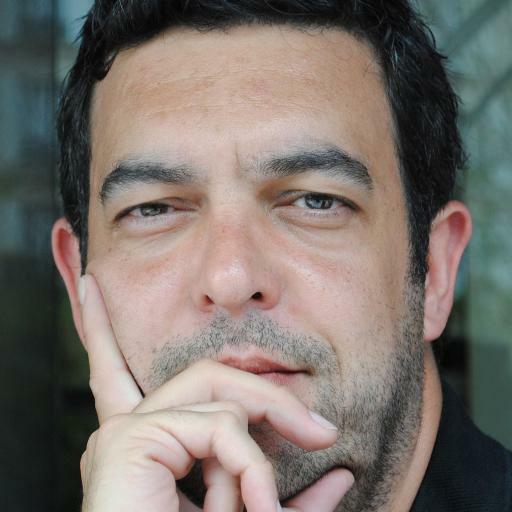 Iñaki holds a degree in Communication and Media Studies (UVM, Mexico City), (SAE Institute Barcelona), (Porta 22, Barcelona). Design Management BA Fashion Mkt. & Comm. A whole career managing strategic campaigns and working in many diverse teams at international leading companies. Communication, Consumer Insight, Consumer Goods Marketing, Retail Marketing, Negotiation, Advertising Management. Ana has a consolidated experience in the areas of Communication, Consumer Insight and Marketing in the Consumer Goods and Retail sectors. Her career has been developed in leading companies inside a multinational environment such as Tous, Sara Lee, Bayer or Nutrexpa in positions such as Advertising Manager, Marketing Services Manager or Group Product Manager. She highlights empathy, enthusiasm, creativity and a team-oriented mindset as her core professional values. Her background in different sectors and in charge of very diverse teams provide her with a global business vision and the capacity to train. 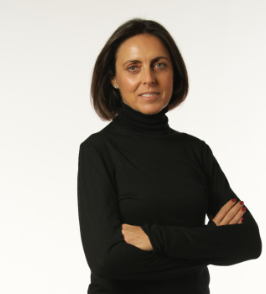 Ana took an MBA and a specialization in Media Planning and Below the Line Advertising (ESADE, Barcelona). Visual Merchandising and e-retailing BA Fashion Mkt. & Comm. Multifaceted entrepreneur in the fields of Business Intelligence, Fashion PR and Slow Food. Business Planning, Entrepreneurship, Retail Marketing, Management Consulting, Marketing Strategy, Business Intelligence, Fashion PR. 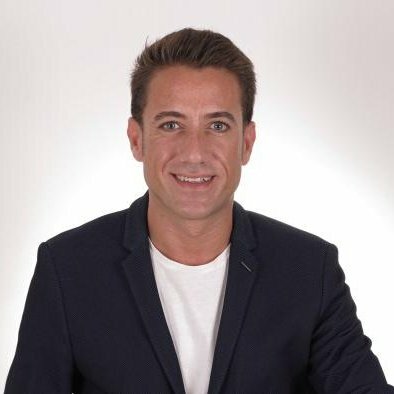 After almost 20 years of professional experience in the retail sector in firms such as General Motors, Montblanc, Movistar or Pequignet, Alejandro began his entrepreneurship career in 2013 by setting up Ubiqual, a Business Intelligence consultancy firm. In the same year, along with the also lecturer of our school Mariana Rumayor, Alejando co-founded Cabinet Bleu, an international PR, brand strategy and events bespoke agency based in Barcelona. In 2015 he also launched his own gastronomic start-up, El Violetero Gourmet, a food truck that elaborates traditional mexican recipes with a mediterranean touch using only seasonal and Km 0 raw materials. A varied background that provides him with a cross-discipline business vision. 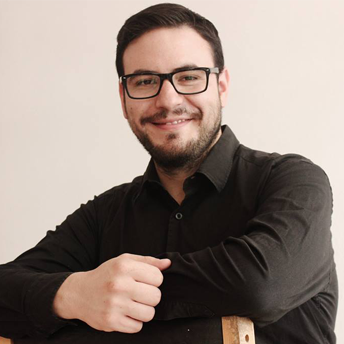 Alejandro González obtained a International Relations Bachelor (UDLAP, Mexico City) and an MBA specialised in Marketing (ITAM, Mexico City). Fashion Branding BA Fashion Mkt. & Comm. Merchandising Plan BA Fashion Mkt. & Comm. Computer Tools BA Fashion Mkt. & Comm. Strategist and publicist, founder of his own agency, applying his varied background to the integral communication of brands. Communications Strategy, Global Brand Consultancy, Luxury Strategy, Experiential & PR, Emotional Design & Branding, Consumer Engagement, Marketing Management, Global Business Development. Throughout his life, Jaime has looked at and experimented with Communication and Advertising from many angles and countries. He is the founder and director of ATTITUDE, a Global 3.0 Strategic Communications agency with headquarters in Barcelona, Beirut, Bucharest, Miami, Milan, Rome and Santo Domingo. Being part of leading agencies allowed him to work with very diverse clients, teams and cultures. 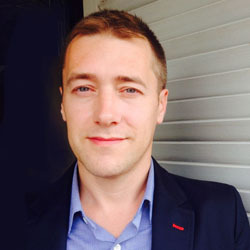 Jaime’s overall perspective has shaped ATTITUDE’s specialised, interdisciplinary and team-based approach that ranges from the design of strategies, to their implementation through cross-media, visual design and content plans among others techniques. His lifelong interest in fashion has made this area play a very important part in Jaime’s career too. Manolo Blahnik, Valentino, Loewe, Kenzo, La Perla, Vasari or Armand Basi are some of the brands he has designed strategies for. He shares his expertise with students at IED Barcelona, ELISAVA, European University, ESEI, ESERP and Global Business School. Jaime holds two degrees in Business Administration, one from the LUISS in Rome, with a specialization in Marketing, and the second from the UB in Barcelona and a Master in International Brand Management and Communications (SDSU, San Diego). Events Organization BA Fashion Mkt. & Comm. Fashion Show BA Fashion Mkt. & Comm. Strategic Communication Plan BA Fashion Mkt. & Comm. British-born, Catalan by adoption, spends much of her time in the worlds hidden behind images. Art History, Visual Culture, Image Analysis, History of Fashion. 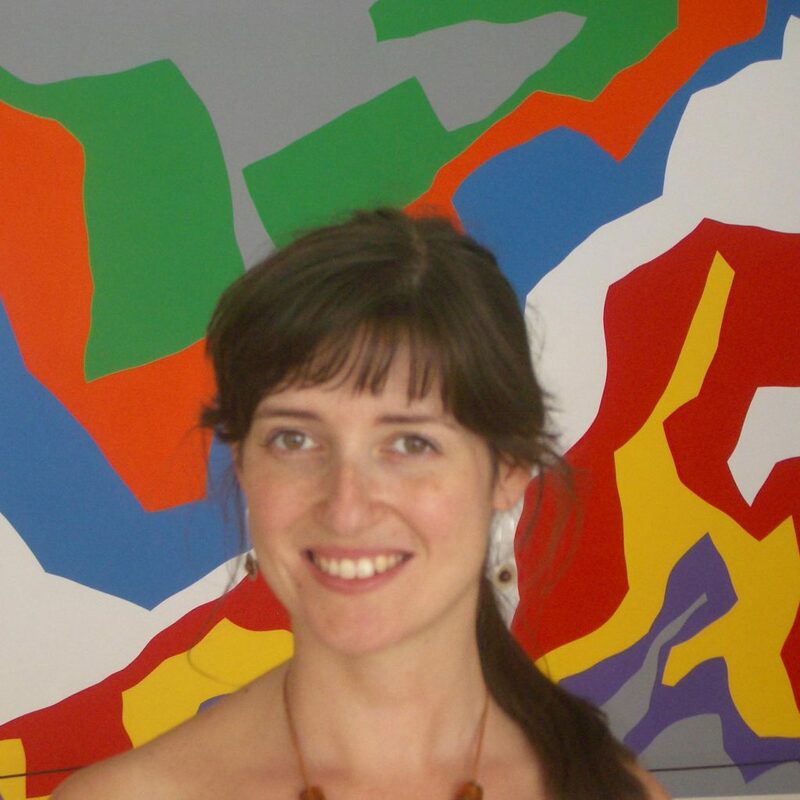 Born and brought up in England, Anna has worked extensively as an Art History lecturer for the IED Barcelona and for other major Catalan universities such as ESADE and the UdG since she moved up to Catalonia. As an art and design historian, Anna is particularly interested in the complex relationship between the social, historical, philosophical and psychological issues that lay behind the visual image. Besides teaching in our school, Anna also lectures Art History in the IED Barcelona School of Fashion. She took a degree in Art History and Theory (BA Hons) at Essex University and later in Art History specializing in 19th and 20th Century art and Catalan Modernism (University of Manchester/Sotheby’s Education) and Teaching (University of Cambridge/RSA). Fashion Photography BA Fashion Mkt. & Comm. History of Fashion BA Fashion Mkt. & Comm. History of Art BA Fashion Mkt. & Comm. Has always been linked to the world of image in many different ways and forms. Founder of his own studio. Audiovisual Communication, Art Direction, Film, Video and Photo Post Production, Motion Graphics, Apple Pro Apps. Alex’s relationship with the world of image began at a very early age at his family print shop and has grown throughout the years. He is one of the managers of the Barcelona based StuffedPixels Studio, which works for clients such as Adidas, TMB, Seat or Volkswagen. Alex current activity as an audiovisual consultant ranges from system and workflow design to the drawing up of improvement plans for specific clients. 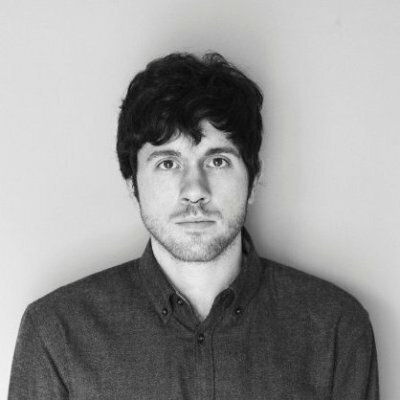 He is also a creator of audiovisual experiences for Sónar Barcelona, Design Made Korea or Lowlands. As an art director, he has been involved in the international acclaimed Rojo Team (Rojo Magazine) together with other companies such as FCM paradigma (Barcelona) or Thoburns (London). Besides being a lecturer at our school, he is also the Motion Graphics External Coordinator at the IED Barcelona Visual Communication School. After studying Graphic Design at Elisava (Barcelona) he specialised as a certified Master Trainer for Final Cut Pro 7, Motion 4, Soundtrack Pro 3 and Pro Apple Color 1.5. Video Techniques BA Fashion Mkt. & Comm. Expressing his view of fashion -classy, atemporal and close to the user- both as designer of his own brand and as a course leader and lecturer. Fashion Design, Art Direction, Brand Conceptualization, Collection Development. Fabricio Pérez is the Course Leader of the BA in Fashion Design, the other course validated by the University of Westminster that is taught at IED Barcelona. Work that he combines with his teaching both in the School of Fashion Design and in ours. He and Jaime Llamazares, also a lecturer at the School of Fashion Design, are the founders and designers of their own brand, Llamazares y Delgado. After more than 15 years of history, Llamazares y Delgado, designed and made in Barcelona, is an established independent brand recognized by its up to date retro touch, accurate patronage and its intention to create a timeless bond, beyond passing trends, between its clothes and the people who wear them. Fabricio is also a costume designer for several companies, theatre productions and arts festivals. After finishing his studies in Fashion Design, he began his specialization in modelling at the École de la Chambre de la Haute Couture, in Paris, and at the American Mitchell Institute. Observes contemporary culture through photography, fashion and magazines. Fashion Photography, Photo Editing, Fashion Editorial, Art Direction. Carlos started his career as a freelance fashion photographer at a very young age and sice then he has worked for names such as Mango, Desigual, Victorio & Lucchino, Oysho, Harper's Bazaar España, Yo Dona, Telva, L'Officiel Greece or VEIN Magazine. Interested in contemporary artistic creation and everything related to fashion, he is passionate about magazines as he believes that they are one of the most complete ways to show contemporary views and ideas. This has lead him to combine photography with edition. He worked as an Editor at Unseentrends, managing the contents for Absolut Network, Antony Morato, Dior or Tous Baby and was also the vicedirector of the fashion online magazine based in Barcelona Itfashion. Carlos took a degree in Art History (UAB, Barcelona) and then went to do a specialization in Fashion Photography (IEFC, Barcelona) and completed his studies with a Master’s course in Art and Design Research (UAB, Barcelona). Fashion Editorial Office BA Fashion Mkt. & Comm. Fashion Publishing BA Fashion Mkt. & Comm. Works to enable people to communicate in a genuine and honest way. Oratory, Public Speaking, Communication Skills, Personal Training, Persuasive Presentations. Ana has more than 20 years of experience as a Communication Skills Trainer. 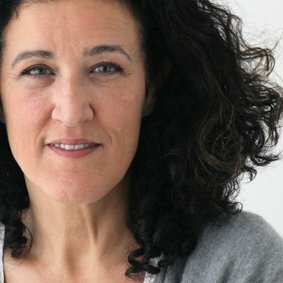 She advises professionals from all areas in Public Speaking and is also a trainer in expression in front of the camera at the Catalan Radiotelevision Corporation. Her method ranges from the structure of the speech to the staging and the attitude. She has worked as an acting lecturer at Nancy Tuñón School and Coco Comín School. She lectures in several universities such as Pompeu Fabra, UAB, UdL and UIC, and at the Association of Journalists of Barcelona. She holds an acting degree by the Nancy Tuñón School of Barcelona and later she specialized in Voice Studies at the Institut del Teatre of Barcelona. She completed her training with studies in Singing (Taller de Músics BCN) and Commedia dell’Arte (Teatro Alla Avogaria, Venice). Throughout all his career he has approached the Fashion Marketing and Communication world from a design and artistic perspective. Communication, Fashion Marketing, Web Marketing, Marketing Online. José started his career collaborating in the creative departments of various companies like Fulkrum, Dcco-Levi’s Europe, Ufo Denim or Women’secret. Within the communication world, he directed trends and arts projects such as 50_easy magazine, curated festivals (Photo España) and exhibitions (Circuit at Barcelona Fashion Week). Nowadays, he leads international marketing and branding fashion projects -mostly for Gisela intimates- while actively collaborates with fashion professional schools such as IED Barcelona. He studied Design within at both Granada and Barcelona Universities and he completed his skills in Image and Contemporary Processes (Escola Massana, Barcelona). After being awarded as Year Young Artist by the city of Barcelona, he went on to do a CED in Production and Image Management (Bournemouth and Poole College, UK). Intro. to Fashion Comm. BA Fashion Mkt. & Comm. Media Mkt. & Comm. BA Fashion Mkt. & Comm. Major Project Tutor BA Fashion Mkt. & Comm. Communication & Marketing professional now running her own sustainable fashion brand and education NGO. Marketing Communications, Consumer Insight, Marketing Strategy, Marketing Management, Brand Management, Market Research and Analysis. Recently graduated, Casilda started her career at L’Oreal, where she worked in 3 different departments: Sales, Logistics and Marketing and became Marketing Group Manager in 2012. A journey that brought her to Chile, Nepal and Peru made her found new realities and turn these discoveries into projects. In 2014 Casilda launched STONE, an accessories brand which only uses natural high-quality materials. In the same year she co-founded Mandila Foundation, a NGO based in Nepal that seeks to provide children with access to quality education. Her lifelong interest in the promotion of young talent has led her to join the IED Barcelona team in this first year as a lecturer. Casilda holds an MBA specialised in Communication and Marketing (EBS, Paris). Product designer working at the intersection of art and design. Product design, Interior design, Lighting solutions, Woodwork. 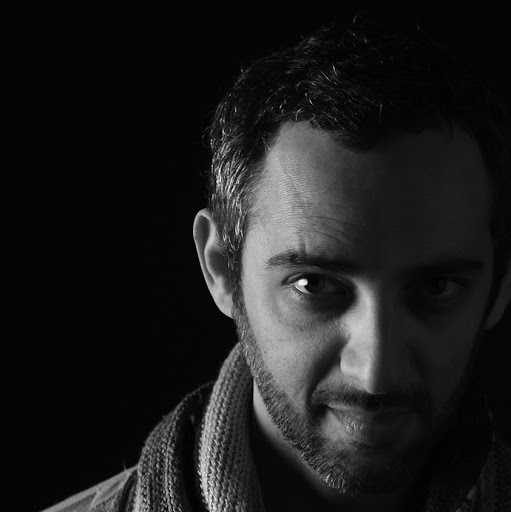 Aviv has worked within a wide range of creative practices for independent and commercial companies. In 2009 he set up his own product design study/lab, whose production process ranges from the initial stage of conceptualization to the final stage of production and takes place entirely in Spain. His eclectic experience has determined an open and experimental approach. Aviv challenges the conventional boundaries of art and design, creating an anarchic discipline. He describes his work process as transformative and seeks to make the users hover in a state between surprise and serenity. His designs have been exhibited, among others, in the Salone Internazionale del Mobile di Milano and in the specialised gallery Room Service Design in Barcelona. Journalist with a long experience, later specialised in digital communication, founded his own agency combining both backgrounds. His third love: theater. Journalism, Communication, Culture, Literature, Social Media Management, CRM, Theatre Criticism. Marc is a journalist personal and professionally involved in communication, information and culture and in how technology relates to each of these. This mix of interests led him first to work for many years in the field of media -as writer, Content Manager, News Director and General Director of the first local radio station in Catalonia-, and then to take this knowledge to the digital communication. Both backgrounds are part of Essabede, a young integral communications agency, founded by Marc and the Communications Specialist Òscar Gómez, that works with companies, institutions and professionals in the creation and development of their brand identity and their online and offline presence, paying special attention to the writing and the quality of contents. Another of Marc’s great loves is theatre, so he shows it to the world through his work as a critic in a variety of media. Marc has a degree in Communication Sciences (UAB, Barcelona) and Postgraduates in Theatre History, Theory and Criticism (UAB, Barcelona), and Community Management & Social Media (UB, Barcelona). Graphic designer, illustrator and psychologist turning abstract ideas, processes and projects into images. Graphic Design, Illustration, Sketching, Visual Thinking, Psychology, Visual Communication, Communication Analysis. Cornelia applies both knowledge fields to analyze all kinds of communication processes and explain ideas and projects through images. Cornelia now divides her time between different projects. With Visual Elevator Pitch she uses drawing to help people express themselves, identify the essential and communicate more effectively. She, along with Manuela Procopio and Ulrich Schubert, is the third part of _Coworkshops, a training framework for group dynamics, co-creation and personal and professional development based on the principles of gamification and tailored for creation, ideation and collaborative work spaces. She studied Communication Design (HBKsaar, Saarbrücken) and Psychology (Uni-Saarland, Saarbrücken). She is currently working towards her EASC Coach certification.